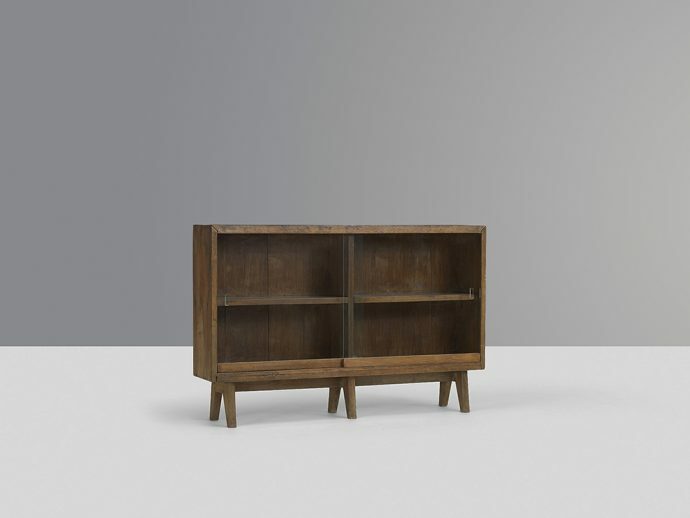 Glass-fronted unit known as "bookcase" in solid teak. Quadrangular body with two sliding glass doors. Thick teak shelving inside, ca. 1960. Teak, glass Chandigarh. Pierre Jeanneret designed together with Le Corbusier a new capital in Chandigarh. In the 1950es they created a vision of new living.